The CGTLEA Scholarship, a one-time grant available to eligible dependents of Coast Guard Tactical Law Enforcement Association (CGTLEA) members in good standing. Scholarship amounts vary depending on availability of funding. For this year's scholarship cycle, successful applicants can expect awards ranging between $250 to $1,000. Click here to join CGTLEA. The Nate Bruckenthal Memorial Scholarship, a four-year grant available to eligible dependents of active duty, reserve, retired or separated Coast Guard members authorized to wear the Coast Guard Tactical Law Enforcement Insignia, as described below. Note: The application process below is the same for both scholarships. Applicants who meet the criteria for both scholarship programs will automatically be considered for both awards. 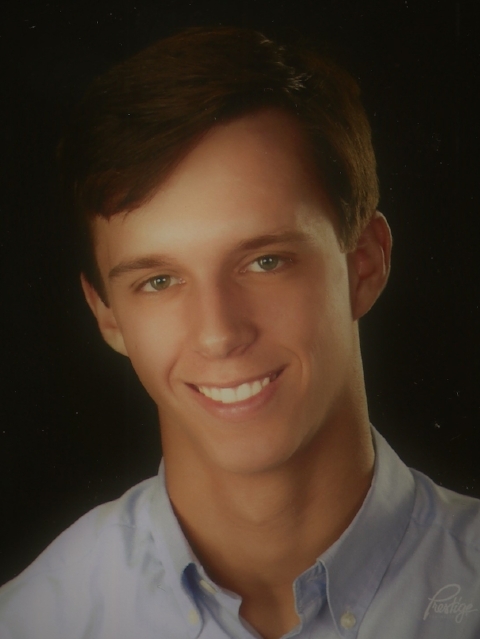 DSF personnel, like Nate Bruckenthal, work tirelessly toward the mission, often at the expense of their families and their own educational opportunities.The Foundation is very excited to support this community of patriots through the Nate Bruckenthal Memorial Scholarship. Recipients of this scholarship will be named Coast Guard Tactical Law Enforcement Foundation Scholars. The scholarship is named after Nate Bruckenthal for multiple reasons. Nate made the ultimate sacrifice for this country; he was was a committed tactical law enforcement team member, and patriot. In close coordination with Mr. Ric Bruckenthal and the Foundation's Board of Directors, we have modeled this program to honor Nate Bruckenthal for what he represented and what he continues to represent today, a man of great integrity and character. This scholarship is not a gift, but rather a contract between the Coast Guard Tactical Law Enforcement Foundation and the person(s) selected as Scholars. This scholarship exists because of the sacrifices made by those who came before and is only possible because of the generosity of donors who care deeply about this community. A Tactical Law Enforcement parent may have established initial eligibility, but it will be up to the individual recipient to maintain this honor every day. Each recipient will be expected to uphold the values of Honor, Respect, and Devotion to Duty at all times. If you are willing to shoulder the weight of this responsibility, we invite you to continue with this application and look forward to learning about you! Lantz Morris is the 2018 Nate Bruckenthal Scholarship recipient. A member of the University of South Florida Class of 2022, he is majoring in Marine Biology. Lantz is the son of Georg and Brooke Morris. Lantz graduated from William T. Dwyer High School in Palm Beach Gardens, Fla., where he competed on the varsity football and track teams. He also volunteered his time with the Homeless Coalition, Little Smiles Children's Charity of South Fla., and the Food Bank of West Palm Beach. His father, Chief Warrant Officer Georg Morris, retired in 2018 after serving at units such as Tactical Law Enforcement Team South (where he served with Nate Bruckenthal), Pacific Tactical Law Enforcement Team, and Coast Guard Headquarters Office of Specialized Capabilities. Connor Tumlinson is the 2017 Nate Bruckenthal Scholarship recipient. A member of the University of North Carolina at Greensboro (UNCG) Class of 2022, he is majoring in Music Education and Music Performance. Connor is the son of Kelly and Shauna Tumlinson. He graduated from Currituck County High School, where he served as first chair honors symphonic band, jazz, and orchestra. Additionally, Connor represented his high school in the East Region Orchestra and was selected for the All National Honors Concert Band, where he was awarded the All-State Medal. His father, Master Chief Maritime Enforcement Specialist Kelly Tumlinson, has spent the majority of his career in the Coast Guard's Deployable Specialized Forces. Savannah Vasquez is the inaugural 2016 Nate Bruckenthal Memorial Scholarship recipient. She attends East Carolina University in Greenville, N.C., where she majors in Elementary Education. Savannah is the daughter of Alvaro and Cynthia Vasquez. In high school, she received academic honors all four years, was a starter on the varsity soccer and golf teams all four years, and ran on the indoor track team her junior and senior years. Savannah's father, Alvaro, is a retired Coast Guardsman who spent most of his career in the Deployable Specialized Forces community and deployed overseas with Nate Bruckenthal while at Tactical Law Enforcement Team South. CGTLEA Scholars - In addition to the annual, four-year Bruckenthal Memorial Scholarship, the Foundation awards one-year CGTLEA Scholarships to dependents of CGTLEA members when funding permits. Abi Gossett (2018) - The University of Alabama, majoring in Kinesiology (class of 2021). Daughter of Robert and Susan Gossett. Her father served at TACLET South and retired with 20 years of service. 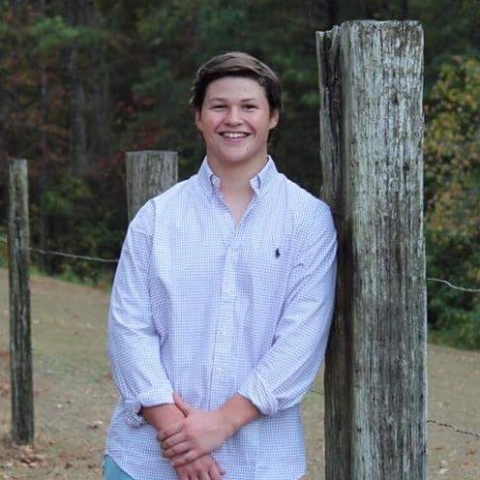 Ethan Gossett (2018) - Mississippi State University, majoring in Agribusiness (class of 2021). Son of Robert and Susan Gossett. His father served at TACLET South and retired with 20 years of service. 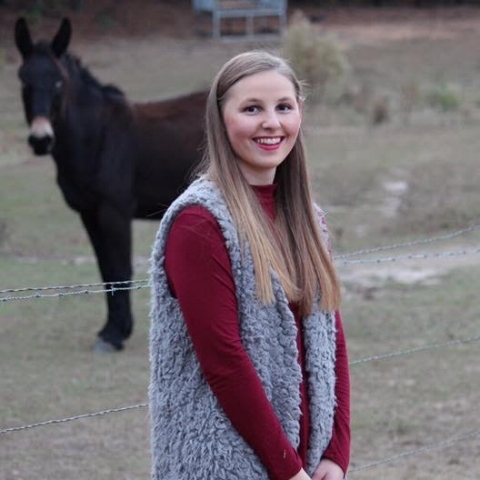 Autumn Krueger (2018) - Limestone College, majoring in Fine Arts/Musical Theater (class of 2019). Her father, Jaime Figueroa, served at TACLET South and the Maritime Law Enforcement Academy. Justin Lawson (2018) - University of South Florida, majoring in Exercise Science (class of 2022). His father, Craig Lawson, is retired Coast Guard and served at TACLET South. Madison McNally (2017/2018) - Florida International University in Miami, Fla, majoring in Political Science and International Relations (class of 2019). Daughter of John and Maggie Strunk. Her father, John, served at TACLET South. Eric Thompson (2018) - Virginia Military Institute, majoring in History (class of 2022). Son of Brian and Michele Thompson. His father served for 24 years - TACLET South, MSST Galveston, MSRT. Irmani Woods (2018) - Old Dominion University, majoring in Mass Communications (class of 2022). Her father, Lorenzo Woods, currently serves on active duty. Katelyn Sinclair (2017) - School of the Art Institute of Chicago, majoring in Sound Design (class of 2018). Daughter of Michelle and Chris Sinclair. Her father, Chris, served in the LEDET community and at SMTC. The Coast Guard Tactical Law Enforcement Foundation Scholars Program and the Nate Bruckenthal Memorial Scholarship is established to financially assist dependent sons/daughters of Tactical Law Enforcement community members of the United States Coast Guard on active duty, reserve, retired or honorably discharged. 1. All funds expended for grants will be taken from the income earned by the assets in the Bruckenthal Scholarship Program accounts. 2. Grants will be given in the amount of $10,000 ($2,500 per year for four years). The grants must be fully funded prior to being awarded. The number of awards will be at the discretion of the Executive Board. Funds are to be used toward expenses at an accredited institution of higher learning beyond high school. 3. Any expenditure, other than grants, must be authorized by the Executive Board. No expenditure shall be made other than in furtherance of the purposes stated in the Standing Rules and Regulations and the administration thereof. SECTION III – Governing Board. A Scholarship Committee comprised of not fewer than three and not more than six members shall be appointed by the Executive Board prior to 1 September of each year. The committee shall formulate the application; prepare instructions to the applicants, select the recipients of the grants and provide to the Executive Board the names of the recipients prior to 1 June. SECTION IV – Amendment of the Standing Rules and Regulations. Amendments of the Standing Rules and Regulations shall only be made by two-thirds vote of the Executive Board. SECTION V – Eligibility and Application Requirements. a. Be the dependent son/daughter of a Tactical Law Enforcement member (i.e. a member permanently authorized to wear the Coast Guard Tactical Law Enforcement Insignia) of the United States Coast Guard on active duty, reserve, retired or honorably discharged. b. Be a senior in high school with an average of “C” or better during the most recent two semesters or be currently enrolled in an accredited institution of higher learning with an average of “C” or better for the year immediately prior to application. c. If enrolled in an institution of higher learning, be enrolled in a full time course of instruction based on school or program criteria. d. Applicants must show proof of full time enrollment in order to receive subsequent payments during their second, third and fourth years. e. The financial status of the applicant or applicant’s parents shall not be a factor in eligibility or in awarding grants. a. Applications shall be submitted electronically to the Scholarship Committee, not later than 1 May each year. b. Applicant must submit proof that one of their parents is a member of the United States Coast Guard on active duty, reserve, retired or honorably discharged who is permanently authorized to wear the Coast Guard Tactical Law Enforcement Insignia. A document establishing eligibility of the parent is required: for example a DD-214, letter from the unit, etc. c. Applicants shall submit with their application essays chosen by the Scholarship Committee articulating desires for pursuing higher education. Applicants are also encouraged to submit documentation in support of any personal accomplishments, extracurricular activities, or community service performed during the past two years. d. Applicants who have not completed one or more years at an institution of higher learning shall furnish a certified copy of his/her scholastic record beginning with the tenth grade. Applicants who have completed one or more years at an institution of higher learning shall furnish a certified copy of his/her academic record beyond high school. Unofficial transcripts should be emailed to scholarship@cgtlea.org. Official transcripts will be required if selected. e. Applicants shall furnish a copy of their letter of acceptance at an institution of higher learning. Grants and follow up payments will be made during the month of August. Whenever possible, grants will be presented by a chapter of the Coast Guard Tactical Law Enforcement Association in the vicinity of the grant recipient. The chapter should schedule appropriate ceremonies and a presentation should be made by the chapter president or an Association member in the area. As funds permit, the Board may award one-time CGTLEA Scholarship grants in conjunction with the annual Bruckenthal Scholarship application, selection, and presentation cycle. Be the dependent child of a member in good standing of the Coast Guard Tactical Law Enforcement Association or who was a member in good standing at the time of their death. Be a senior in high school with an average of “C” or better - or be currently enrolled in an accredited institution of higher learning with an average of “C” or better. Be enrolled in a full-time course of instruction. The financial status of the applicants’ parents shall not be a factor in determining the applicants to be awarded grants. The receipt of a grant does not exclude an applicant from receiving grants in subsequent years. For more information, contact scholarship@cgtlea.org.